The word ‘catenary’ refers to a naturally-forming curve caused by gravity – like you might get with a hanging chain. Catenary lighting is created by attaching luminaires to overhead cables to create a subtle glow or spill of light, usually in an outdoor space. Anchor points for the cables include building walls, canopies, poles or other structures. Many different types of lighting can be incorporated into a catenary system, including LEDs, pendants, lanterns or festoons. With catenary lighting you can create beautiful outdoor architectural spaces that can be used in the evenings as well as during daylight hours. The lighting system itself is usually not the star of the show, but is designed to enhance the space in whatever way you wish. For example, the space could take on various ‘themes’ – including festive, party-like, playful, cool, restful or artistic, depending on the desired mood. if required, the cables can form an architectural feature on their own, such as in the Abercrombie Lane project, or incorporate other elements, for example this art installation in Steam Mill Lane in Sydney. This type of installation works best by using lightweight steel cables that are strong enough to span long distances. This enables you to install the overhead lighting without the need for large poles intruding into the space, impeding views and free movement. The strength of stainless-steel cables also prevents them from swaying excessively while remaining subtle and light in appearance. A lighting system of this kind improves night-time visibility, safety and security without a spotlight effect, which can be obtrusive. 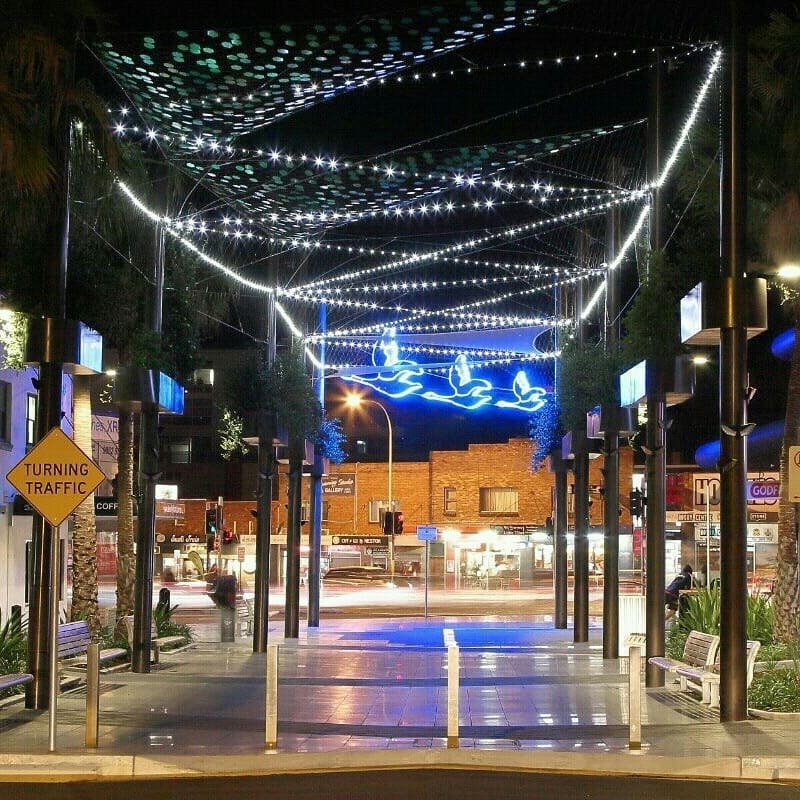 Catenary lighting can be used in a wide variety of outdoor spaces to create a permanent or temporary lighting system. 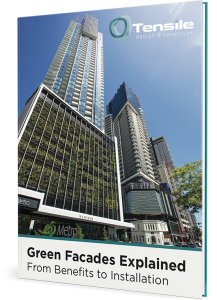 This includes in parks, courtyards, carparks, boardwalks, bridges, town squares, laneways, shopping or hospitality hotspots, or even at carnivals or festivals. Catenary lighting can also be remarkably flexible. 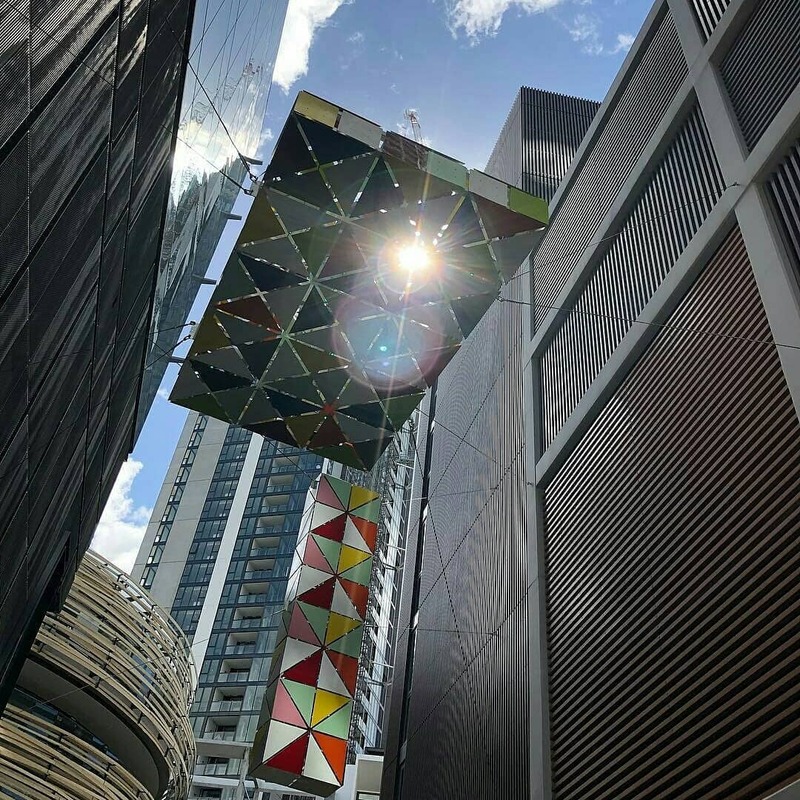 For example, the retrofit lighting system at Scotch Row in Barangaroo is portable, which enables it to be picked up and moved to another location if the need arises. To work as expected the system needs to be properly engineered to fit the space and the lights need to be outdoor-rated. If you have a project that requires a catenary lighting system, contact one of our design specialists for a discussion.